The textile industry has a huge impact on nature and its workers because of all the chemicals that are used in production processes. Nienke started to wonder if these substances are removed from the textiles before we eventually use them. In a theoretical research she discovered that many textiles still contain these harmful chemicals and that they can cause different disorders and diseases. The skin has an absorbing property, and therefore the chemicals can enter our bodies. 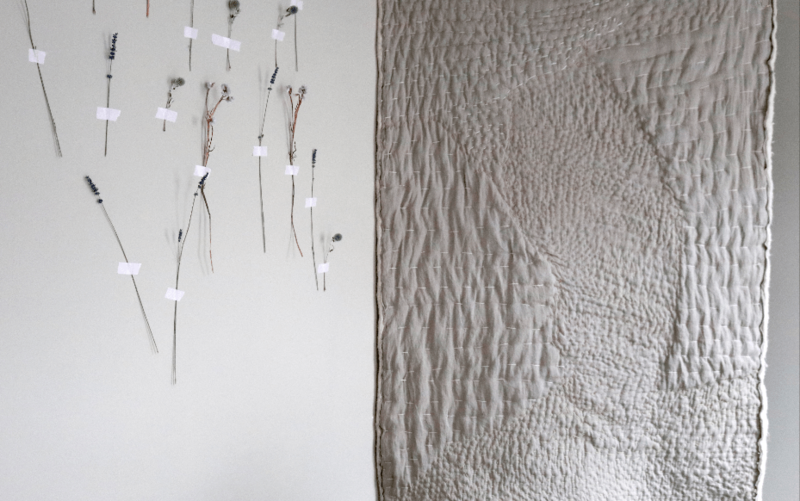 Driven to raise awareness about this by showing a solution – and not only the problem – she started a research project to discover if textiles can also release substances that can be beneficial for our health and skin. Herbs are known for their medicinal effects and are used in many ways to contribute to our health: by eating them, making them in to medication or using them in cosmetics. Would they still have this effect when they are used as a textile dye? As a commission of Z33 (Hasselt, Belgium) Nienke started this research with herbs that once grew in the historical garden of the beguinage of Z33, like Rosemary, Sage and Camomille. She used natural linen of By Molle, a fabric that doesn’t need pesticides to grow, doesn’t need irrigation and is grown and manufactured in Europe. 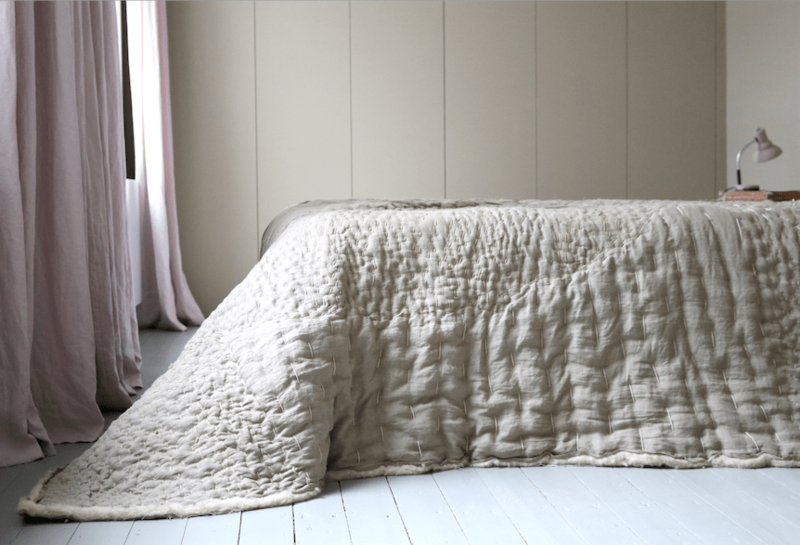 Nienke used the dyed linen to make a quilt to sleep under. By hand she embroidered a pattern with herbal dyed yarn that is more extensive on places the body can use the herbal effect (head, body, feet). 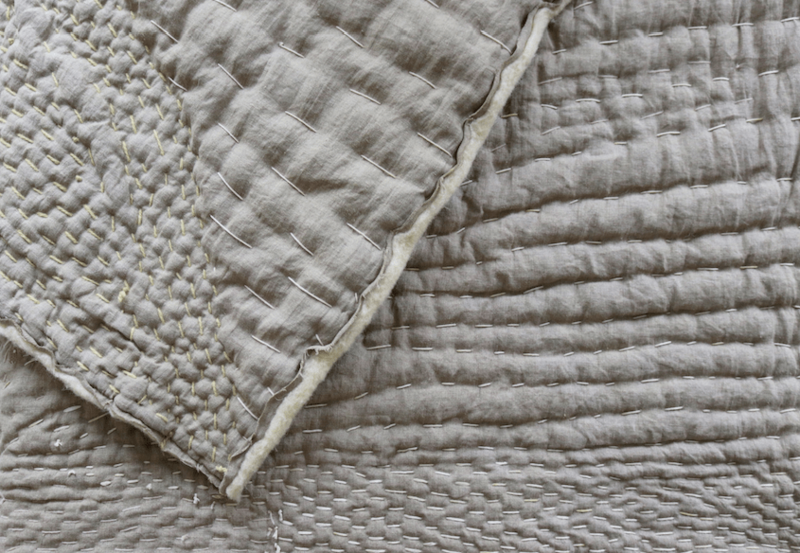 This quilt is part of the exhibition Dissidence: quilting against at Z33. 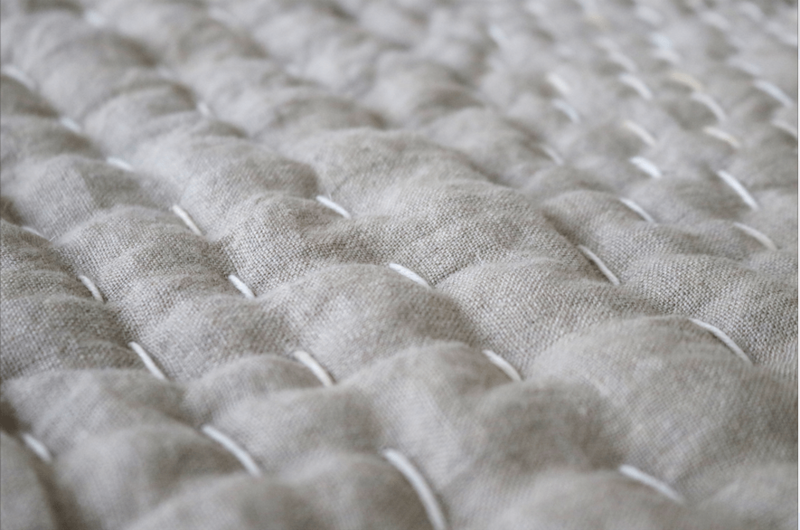 Samples of the linen dyed and pre-treated with herbs, are now being tested for the effect at Centexbel (Belgium). Conclusions of the research will be published in summer/fall 2019.